Probably one of the first things you will want to do with a smartphone is to set up your email account so you can send and receive emails on your phone. To do this you will come across about strange terms like POP3 and IMAP - confused? Read on and we will help explain what it all means in a really simple way. Email stands for electronic mail, and that of course means a way of sending something you write between different computers. The different computers 'talk' to each other on the internet. To be able to talk to each other they have to be able to speak the same language - just like us. A webmail service - very common and most of us will be using this type - Gmail / Hotmail / Yahoo Mail A webmail service means that you are writing or receiving the email whilst connected to the internet. In effect you are actually typing the email on the email providers computers. Because the email providers computers serve up information for your computer or smartphone they are called 'servers' and the one responsible for email is called the email server (this is sometimes referred to as being in the cloud). You will no doubt of noticed that if you lose your internet connection you cannot keep on typing! A client based email - You might use this at work in an office - Microsoft Outlook, Windows Live Mail - Here you will of downloaded an email program onto your computer and you actually type and store the email in your own computer / phone / device - this program then connects to the internet to send the email or recieve your new emails. You can type emails even when you are not connected to the internet but of course you must go online to send the emails. As you can see both types of email service need to connect to the internet to send and receive your emails and they do this using servers. 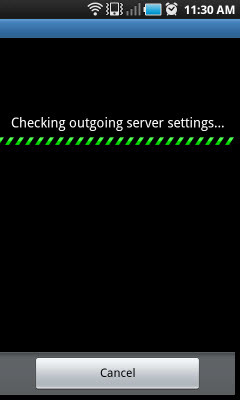 The server's port number (This is a just a number which tells the server what sort of information is coming through, so the port number used for email will be different to the port number your computer uses to update the time on your computer for example). POP3 - This was the first way invented for computers to be able to send emails. POP is short for Post Office Protocol and we are currently on version 3 hence POP3. This is a very simple system which allows you to download your email onto your phone and at the same time it deletes the original email stored on the email server. Because it deletes the original email you cannot then download it from another device / computer but it does mean that your mailbox never gets full, so you will not run out of storage space. IMAP - This is short for Internet Message Access Protocol - this system allows you to log in to see your emails on the email server. This means you can view them using lots of different devices. It does not delete them automatically, you can do that if you want to. It can offer a more secure way of storing your email because it is not stored in your phone (with POP3 if you download an email to your phone and then drop the phone down the toilet you have lost the phone and the email!) One downside is that your mailbox can get full because you reach your storage limit. Microsoft Exchange, MAPI, and Exchange ActiveSync - This is a system microsoft developed. It is quite complex to explain but basically it allows you do everything that IMAP does and in addition you can synchronise your emails, contacts and calendar data across all your devices - ie your phone, computer, tablet etc. SMTP server - another thing useful to know about! All the computers and your phone need to be able to talk to each other using a language they all understand. SMTP is short for Simple Mail Transfer Protocol and this is the agreed language they all use to send the email. So your email account will send its email using a SMTP server. The SMTP server then communicates with either your IMAP or POP3 server to make sure the email gets delivered to the right place. In really simple terms the SMTP server is like the big postal sorting office and your POP3 or IMAP is your local postman. You need then both to work together to get your mail delivered. You may hear the term 'push email' which refers to a system many smartphones use for receiving emails. With push email your emails are 'pushed' straight to your phone as soon as they are sent, so you get the email immediately. Often smartphones announce the arrival of an email by a pinging sound - but luckily you can switch this off. This email system is useful for people who need to know immediately an email has been sent to them. Standard email systems where you visit your account to see if you have anything in your inbox can be set up to mimic push email by being set to check for emails frequently. This can be normally done from the settings menu in the email account where you can select to check for emails every 5,10, 30, or 60 minutes. Tip: Remember the more frequently your phone checks for email the more battery power it will use. It is good to know that your email system has some in-built security. You normally need passwords to log in to your account. SSL - short for secure socket layer. TSL - transport socket layer. They are both just methods of securing your information and we would recommend that you choose to use them. When you come to set up your own email account on your phone you will normally be given the choice to pick which system you prefer. If you check your email from a lot of devices, phones, or computers, set up your email to use IMAP. If you mostly use webmail and want your phone or iPad to sync with your webmail, use IMAP, as well. If you’re using one email client on one dedicated machine (say, in your office), you might be fine with POP3. If you have a huge history of email, you may want to use POP3 to keep from running out of space on the remote email server. If you use Hotmail or an Exchange Server Email, MAPI or Exchange ActiveSync will give you similar cloud-based syncing, like IMAP. 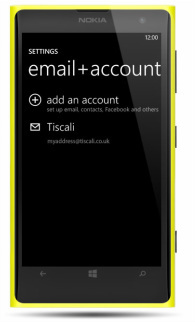 Setting up your actual email account on your phone is easy. Different models of phones will have slightly different set-up screens to follow and the instructions will vary depending on which operating system your phone is using but this guide should help you set up most systems. To set up an email account you need some information from your email provider. In this example we are pretending you want to use POP3, so you have got the POP3 server name, POP3 port number, SMTP server name and SMTP port number from your email provider or by using our guide - for a full guide of the settings needed for Outlook (Hotmail) Gmail, Yahoo and AOL email account set-up click here. 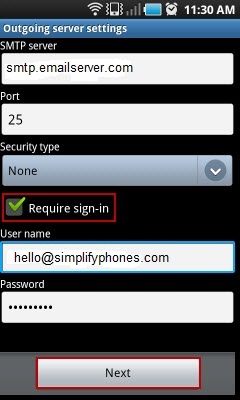 Now lets get you up and running: In this guide we will show you the steps involved to set up an email account on an android phone. Our images show the Samsung Galaxy S.
If this is the first time adding an email account, you will be immediately prompted to add a new account. If you already have an account created, click on the Options button, then Accounts button to create a new account. Type in your email address and password then click on Next button to continue. Click on the POP3 account or the IMAP account depending on the type you want to use. Some phones automatically select both POP3 and IMAP. Your user name is just your full email address. If you have selected POP3 then type in the pop server address into the POP3 server field. If you have selected IMAP then type in the imap server address into the IMAP server field. Add your SMTP server in the SMTP Server field. Click on the Require sign-in tick box. Your full email address in the User name field. Your email address password in the Password field. Select the email checking frequency settings and click on the Next button. 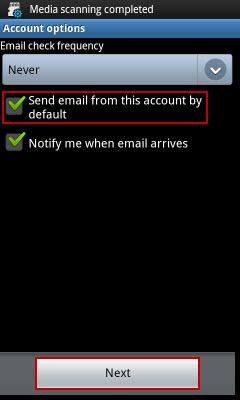 Select the tick box next to 'Send email from this account by default' if you have more than one email account, but you want to use this one as the main account for sending your emails on your phone. 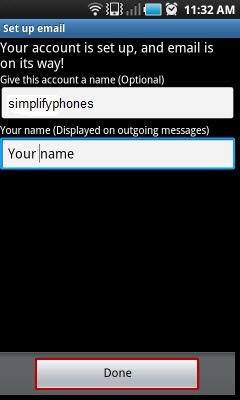 Fill in a name for the email account and your name that will appear on outgoing emails. 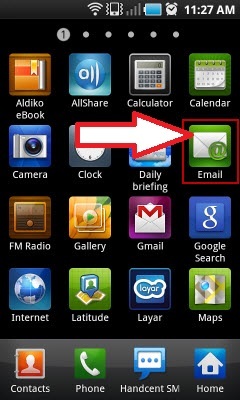 Your phone is now setup and ready to use with your chosen email account.